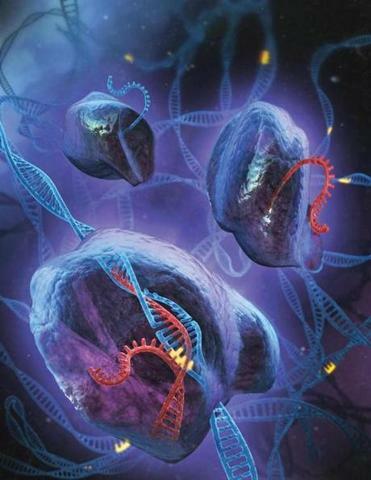 The process involves identifying faulty genes (represented in yellow in this illustration) on DNA strands (blue), then replacing them through an enzyme known as Cas9. The enzyme is guided to the problem genes by RNA (red). When a tumor grows on an organ, doctors remove it. When a hip stops working, they replace it. When a faulty gene causes a disorder such as Huntington’s disease or sickle cell anemia, however, there isn’t a surgery to fix the problem. But a new Cambridge life-science company aims to develop therapies that can put troublesome genes under the knife, so to speak, cutting out bad DNA like a scalpel excises bad tissue. Joung and his other cofounders are announcing the formation of Editas on Monday, backed by a $43 million initial investment from a trio of high-powered venture capital firms: Polaris Partners, Flagship Ventures, and Third Rock Ventures. Polaris partner Kevin Bitterman, who will serve as interim president, said the large investment reflects high confidence in Editas’s potential. Other cofounders include George Church, a geneticist at Harvard Medical School, Dr. Feng Zhang, a brain researcher and professor of biomedical engineering at MIT, and other specialists who have published some of the leading research on what’s known as genome engineering. The company, which hopes to eventually treat people with genetic disorders for which there are few or no options today, is embarking on its venture with an almost unbridled optimism that is rare in medicine. In journals and other publications, scientists have gushed recently about the promise of genome engineering to target the root cause — not merely the symptoms — of orphan diseases. 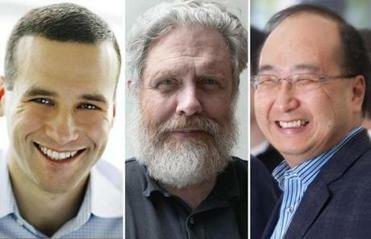 Feng Zhang, with (from bottom left) Kevin Bitterman, George Church, and J. Keith Joung, are starting Editas Medicine. But while the emerging field of genome engineering holds tremendous potential, it presents ethical questions. If doctors can someday modify genes to prevent an unborn child from developing Down syndrome, for instance, what’s to stop them from engineering made-to-order babies with Olympic-caliber athleticism and the hair and eye colors their parents request? Genome engineering could be used to thwart hereditary conditions before a baby is born, but it could also treat adults suffering from advanced stages of their diseases. The primary technology that makes it possible to “edit” genes uses a naturally occurring enzyme called Cas9 that can cut DNA. Typically, Cas9 helps protect good bacterial cells by cutting the DNA of invading viruses as part of a microbial immune system known as CRISPR. In laboratory settings, members of the Editas research team have been able to reprogram the CRISPR defense system, directing the Cas9 enzyme to cut the DNA of whichever genes they want to target. The chief benefit of the CRISPR approach to genome engineering is its extreme precision and versatility. Earlier techniques such as RNA interference, which can suppress the activity of problem genes, have not been able to remove and replace the exact section of a DNA helix that causes a disorder. And researchers believe they can use CRISPR on virtually any gene. 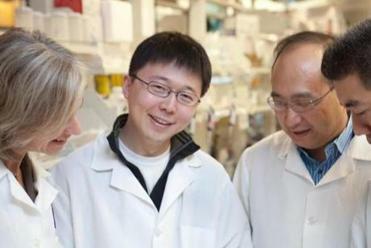 Zhang and other founders will maintain their academic positions and serve as advisers to an Editas staff that will be a half dozen at the outset but that is expected to grow to 30 in the coming year. Years of testing and regulatory hurdles lie ahead before a genome therapy could come to market, and the company has not decided which diseases it will tackle first.